The death toll has climbed to 44 from two massive blasts that ripped through a warehouse in north China's port city of Tianjin as of Thursday noon, according to rescue headquarters. Twelve firefighters were among the dead. A total of 520 people have been hospitalized, including 66 critically injured. 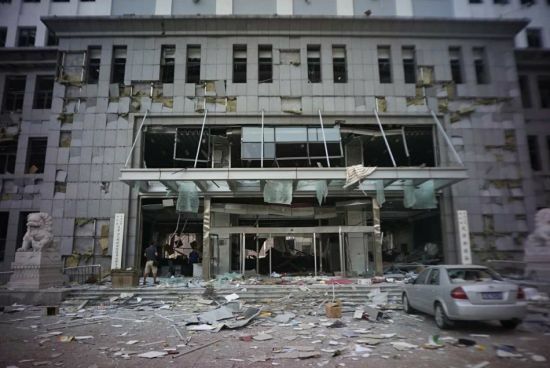 10:20 am A spokesman of South Korean embassy in Beijing said Thursday 2 of its citizens were injured in Wednesday night's serial explosions in Tianjin, Yonhap news agency reported. 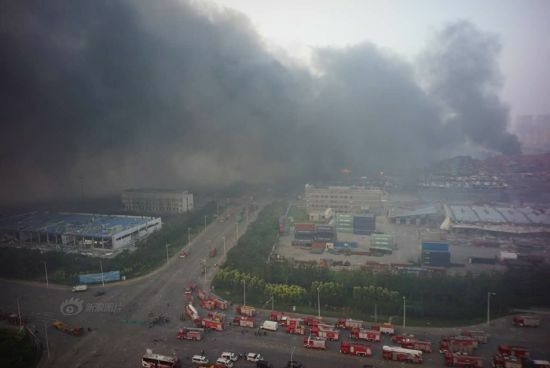 9:50 am The death toll from a Tianjin warehouse blast Wednesday night has climbed to 42, according to media reports. 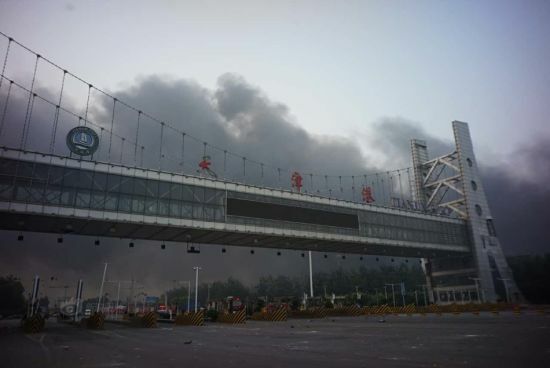 An explosion ripped through a warehouse storing "dangerous goods" in north China's Tianjin City late Wednesday night, killing at least 17 and injuring hundreds of other people. 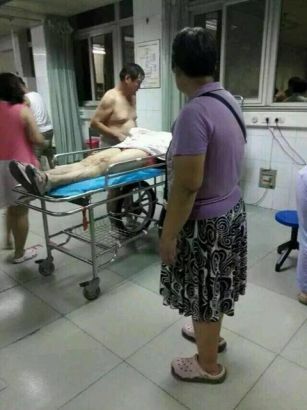 TIANJIN, Aug. 13 (Xinhua) -- Du Wenjun, a resident in north China's Tianjin Municipality, never imaged that he could see a "mushroom cloud" outside the window of his own home. At around 11:30 p.m. on Wednesday, a blast ripped through a warehouse that is several kilometers away from Du's dwelling, leaving at least 17 people dead and more than 400 injured. When the blast occurred, Du felt strong jolts and saw a huge column of smoke not far away. A video clip of a witness showed that the heavy smoke dispersed high in the sky, shortly after fires raged with loud bangs. 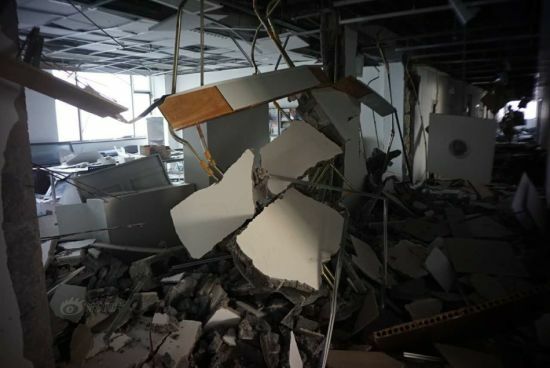 Zhao Lirong, a 35-year-old businesswoman from Inner Mongolia, was sleeping when the blast blew off the windows and doors in her apartment, hitting her head, her son's neck and her husband's feet. A dozen family members living in the apartment were wounded. But all of them run out of the building and walked to the Teda hospital nearby. People rushed into the streets with pajamas, some worrying that an earthquake would happen. 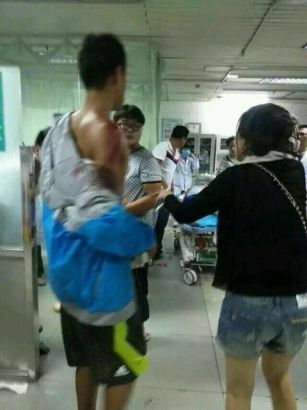 There was a heavy traffic congestion of over hundreds of meters at 1 a.m. on the street near the warehouse, according to Lu Qing, a witness driving by. 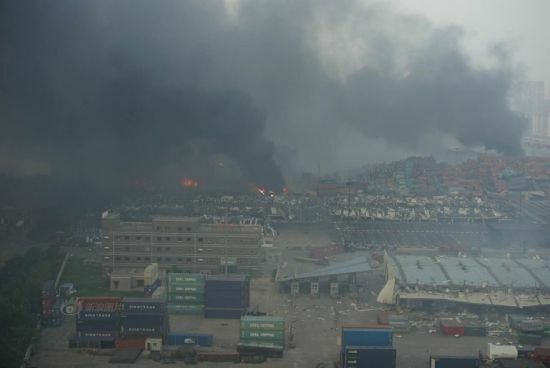 According to the official Weibo account of the Ministry of Public Security, the Tianjin fire bureau received the first report of the fire at 22:50 p.m. on Wednesday. Nine fire brigades and three specialty teams were dispatched to the spot, followed by another nine brigades and 35 fire trucks an hour later.